Sweet Sentiment: Nerds are BACK! Ok, ok, ok... those of you who know me well know that I'm a total nerd. When it comes to a lot of things I completely Nerd out. But, even in school I was a complete nerd. I did the homework of most of our high school class over the weekend because they were all out partying and i was cracking the books. Seriously, I loved it... I knew that I was good at it, so I enjoyed doing it. Writing papers and solving math equations, learning a new language, it was all just fascinating to me. So, when Kimmie posted that the Nerd set was coming back, I squealed with delight! 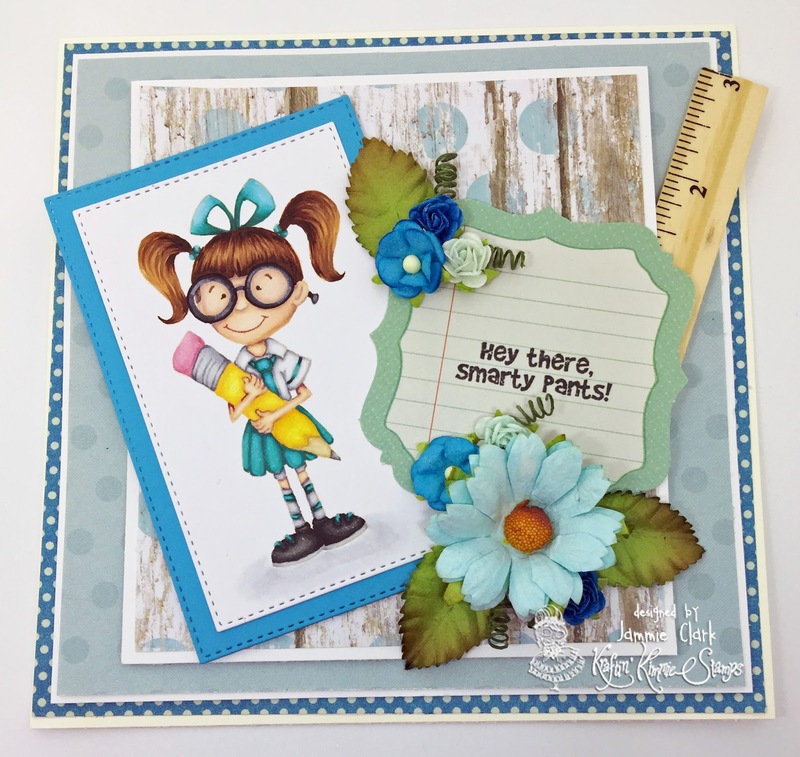 Ok, so the set is actually called "Smarty Pants" and you can buy it here. 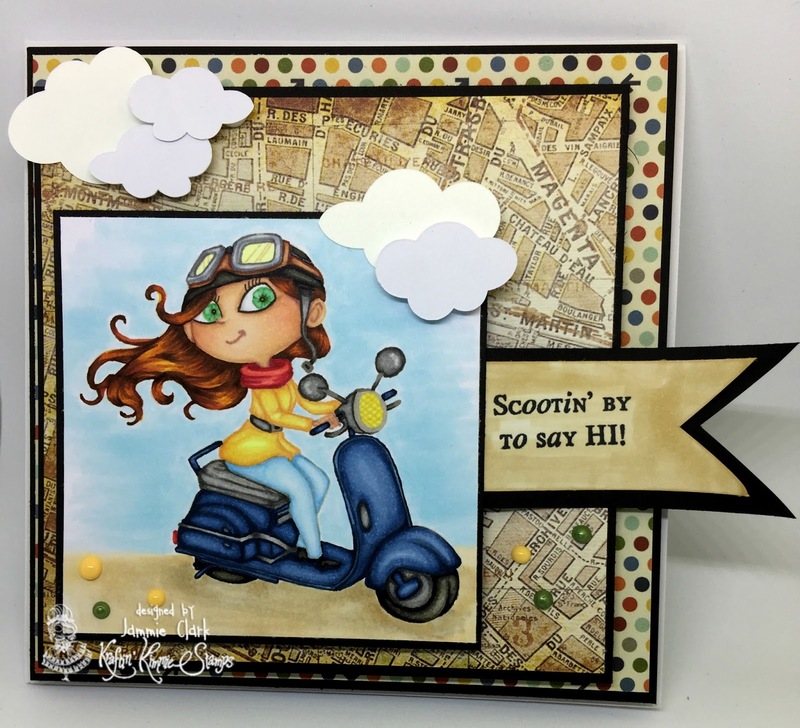 This card is 6x6” on ivory card stock from Recollections, I also used Graphic 45 “come away with me” DSP and the barn wood piece is from the Paper Studio from Hobby Lobby. 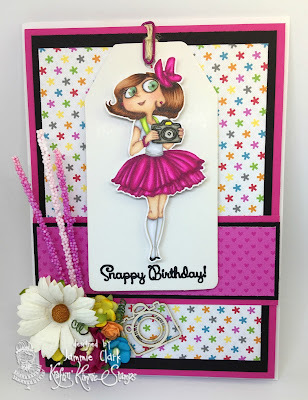 The flowers are all from Wild Orchid Crafts and the ruler is from Tim Holtz. The stitched dies are from Gina Marie. We have some of our RETIRED older stamp sets that have been reproduced in high quality red rubbah!!! OH SNAP! and LET THE GOOD TIMES ROLL!!! There will be a limited number in stock right away and then we will be taking PREORDERS! Of course our brand NEW JULY RELEASE is also available with new clear stamp sets from all of our fabulous artists! 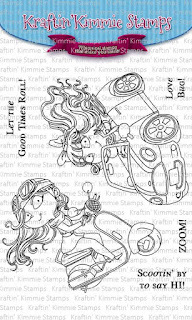 This weekend is your last chance to scoop up the July Gimme Kimmies Kit which has ALL the new stamp sets together and at a discount! So scoop it all up while you can, save on shipping because it will all ship together, and totally get your KKS fix all at once! Woohooo!!!!! How totally excited are you for this set to be a Krafty Komeback?!?!??! I know I am. 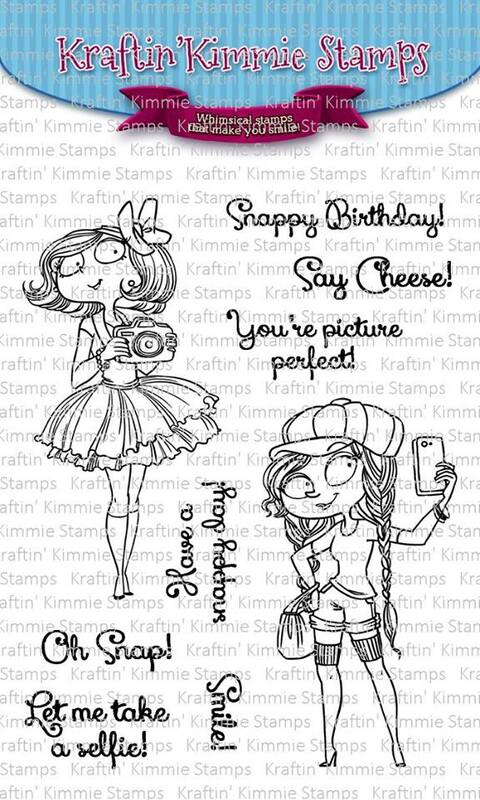 So hop on over to the Kraftin Kimmie Store and pick up your set before they all disappear again! I'm gunna go and grab a cup of coffee, a book, and a seat on my comfy couch. 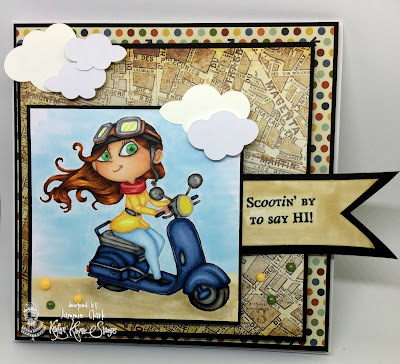 Tootles!